A Taste of Heaven is a large five bedroom home with hardwood floors, tall ceilings, and thick old school walls. 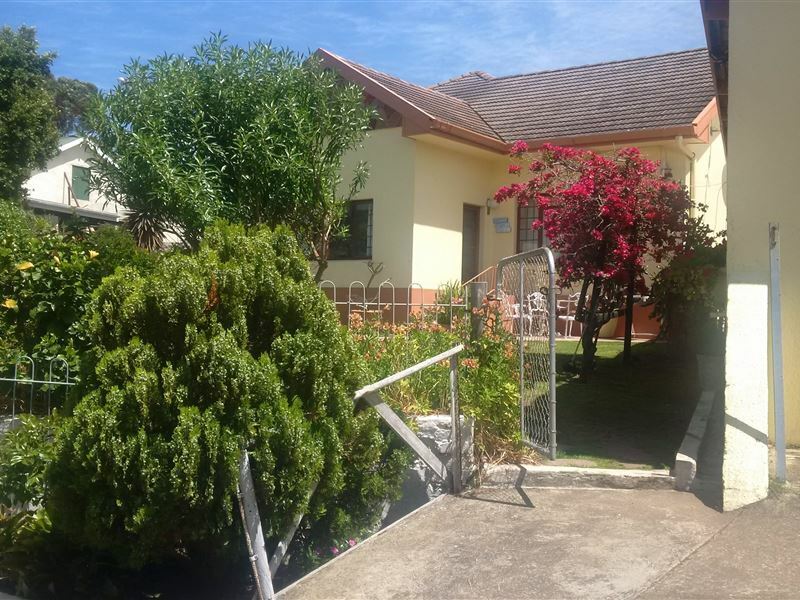 It spots two lovely gardens (front and back) with gorgeous mountain views. 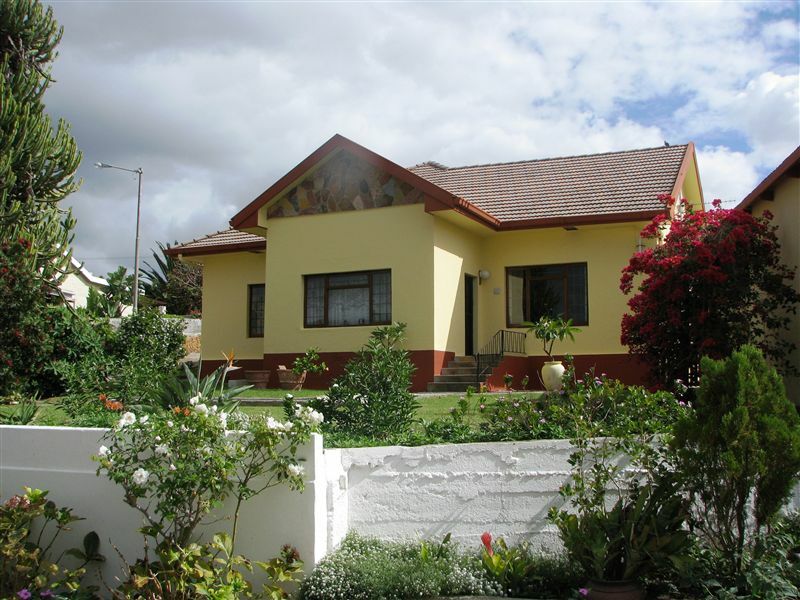 Conveniently and centrally located at the top end of Bredasdorp in a quiet cul-de-sac with off-street parking. 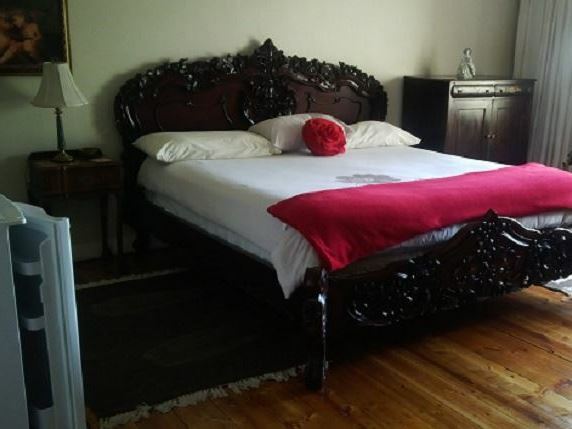 The house comprises of five bedrooms, three bathrooms, a dining and braai area, and a comfortable lounge area.The Main Room has an extremely comfortable California king-size bed as well as a single and 3/4 bed; an en-suite bathroom, TV and DVD player, bar fridge, microwave, tea/coffee area, and beautiful views. The Blue Room has a comfortable double bed and plenty of cupboard space. Look out the window towards the mountains and enjoy the Arniston theme of this relaxed room. 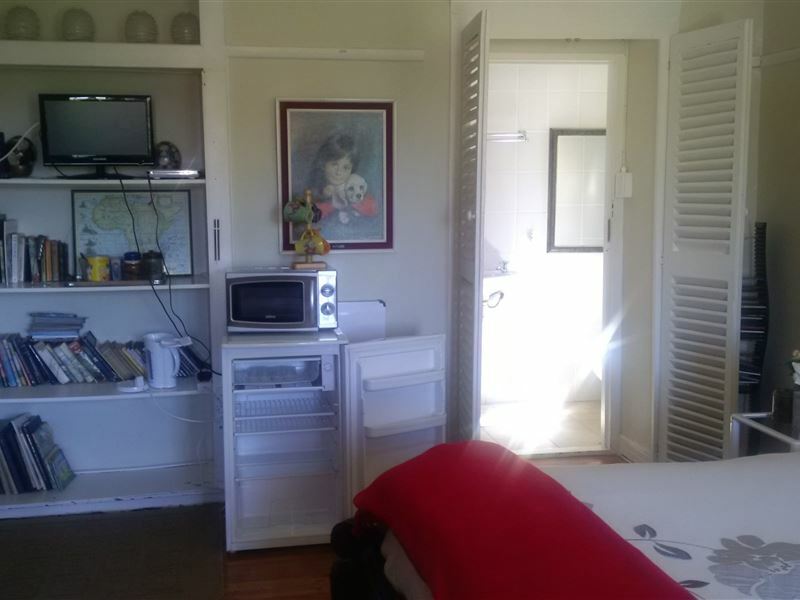 It is equipped with a TV/ DvD, bar fridge, microwave, and tea/ coffee facilities. 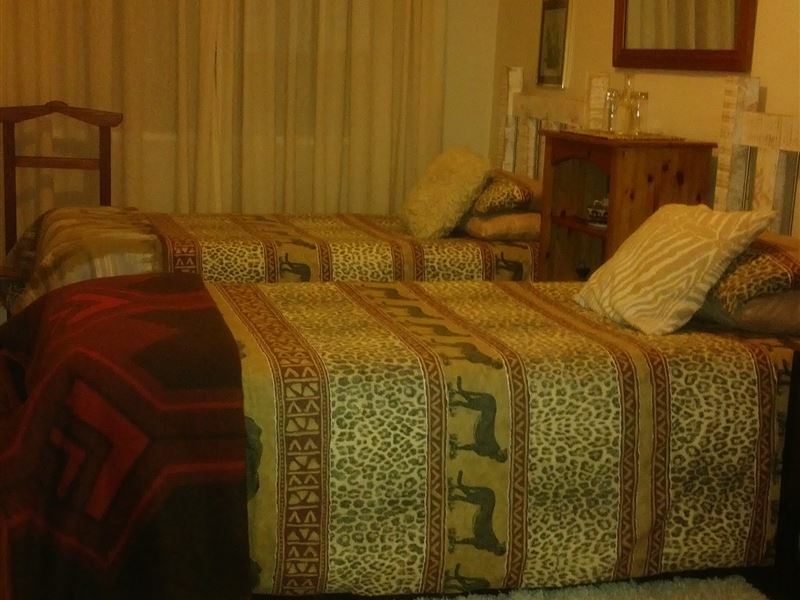 The Safari room consists of two comfortable single beds, a mini bar fridge, and tea/ coffee facilities. 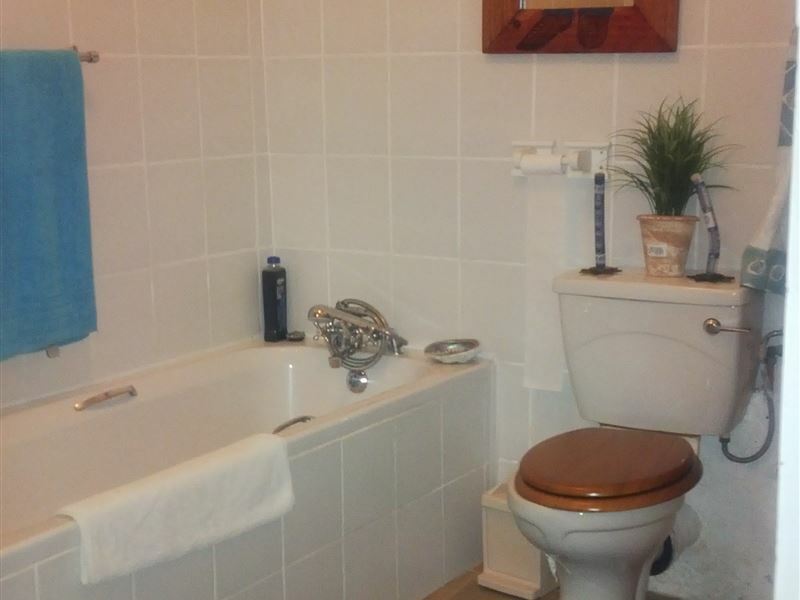 It shares two bathrooms with the Blue Room. 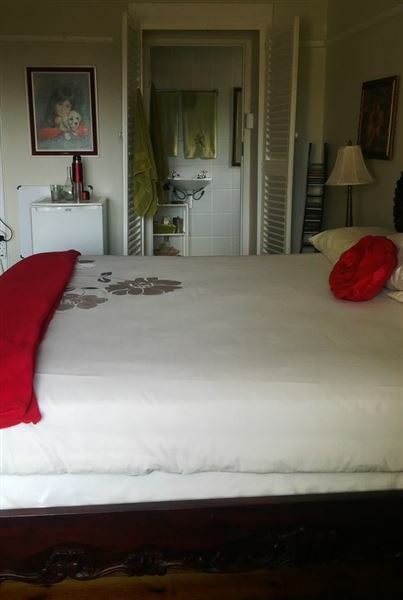 Single Bed Room: 1 person; budget stop over. <br />TopTHINGS TO DO: Visit De Hoop Nature Reserve, Kapula Candles, The Southermost Tip of Africa- L&apos;Agulhas, Struisbaai and her beautiful beaches, Hermanus, Gansbaai (shark cave diving); Standford and the White Lions - guided tour; Historic Elim; The Winelands of Elim including a wine/ buffalo and hippo guided tour; Arniston Cave, Montague Hot Springs, and Swellendam - all within reach of the gateway town to the Southermost Tip of Africa. "A real Taste of Heaven"
"I am writing to express our appreciation for the quality of service you offered us the days of our stay at A Taste of Heaven.I will definitely recommend A Taste of Heaven to friends and family, and Im sure well be back on vacation. Thanks again, see you soon"
"You felt comfortable and so welcome.Rooms are equipped with all the necessary things you need to have a perfect evening. 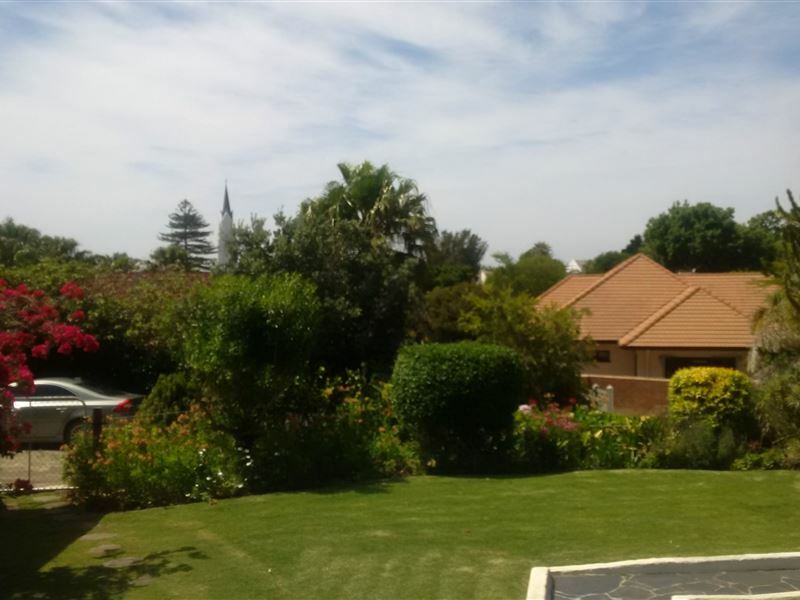 Braai area and just a lovely feel to it all." 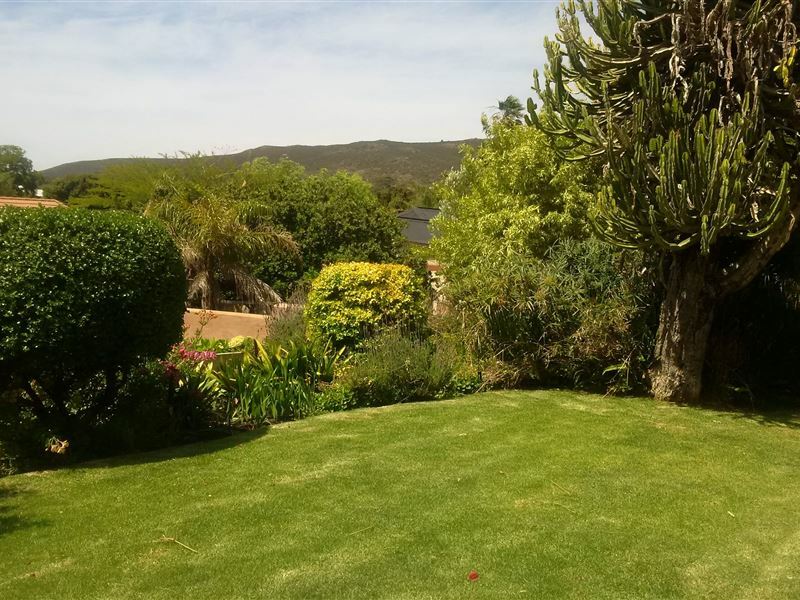 "Getting away from CT to the countryside"
"I enjoyed the stay and Linda was very helpful." "We had a wonderful overnight stay! Served with coffee in the morning! Thank you!" "Linda was very accommodating to my son as the previous place I booked had made a double booking via SafariNow. For the amount paid I was disappointed as no coffee, tea, rusk available and was just a room in the house. The previous place for less had beverages etc available at half the cost"